Self: 100% poly. Hand wash cold. Stretch fabric. Elasticized waist. Back strap detail. Body measures approx 29" in length16" at the knee breaks to 9" at the leg opening. Made in USA. NKAM-WC33. ST129JPJ347004. The first designer to receive a plaque on New York's 7th Avenue, she is credited with inventing the sleeping bag coat, the silk parachute look, high heeled sneakers, and the popular packable, multi-use poly jersey. 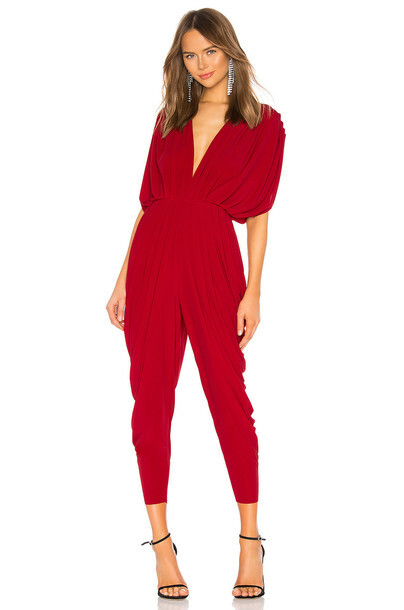 Let Norma Kamali show you the way.